As a top broker in Bridgehampton since 2003, Cynthia brings honesty, knowledge, integrity and respect to luxury Hamptons real estate by putting her client’s needs above her own. She has added a new social media and internet sensibility to her marketing of luxury homes and is passionate about delivering exceptional client experiences with her professional work ethic and sharp negotiating skills. “It’s all about customer service, relationships and knowledge of my Hamptons Market. I love what I do while working in one of the most beautiful beach communities in the world. As a result, my clients are happy, my business grows as domy customers and friends worldwide” says Cynthia. She has consistently achieved top producer awards in the Hamptons and specializes in establishing long-lasting relationships with clients by carefully listening to their needs, conducting a thorough market analysis, and expertly seeing the entire home buying process through to closing. Her client portfolio of luxury homes regularly consists of waterfronts, beachfronts, farm and vineyard vistas, new construction and land. Cynthia also has a passion for environmental initiatives and sustainable homes. 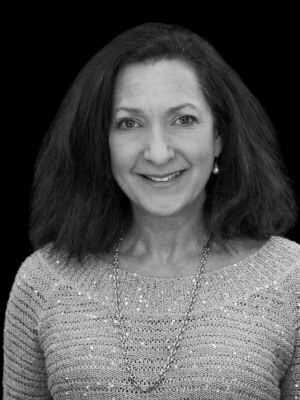 Cynthia has an extensive referral base of NYC and international clients, investors and developers acquired through her years in Hamptons real estate, on Wall Street, at CBS and as the owner of Madebyhand.com, a retail/wholesale/internet home accessory company with nationwide reach to over 800 retailers. Born in Pittsburgh PA, she also has lived in Philadelphia, Boston, LA, Paris, Manhattan and settled in Sagaponack and Sag Harbor to raise her family and ultimately pursue her love for real estate. Cynthia currently lives in Shelter Island. Outside of real estate, Cynthia can be found chairing events to support FightingChance.org, a national nonprofit organization for cancer patients, supporting The Shelter Island Historical Society as an event coordinator/ volunteer and an active founding board member of The Sag Harbor Booster Foundation enriching the children in Sag Harbor. Cynthia is also an avid competitive sports enthusiast with a love for good food, design, photography, running, skiing, tennis, basketball and paddle boarding.